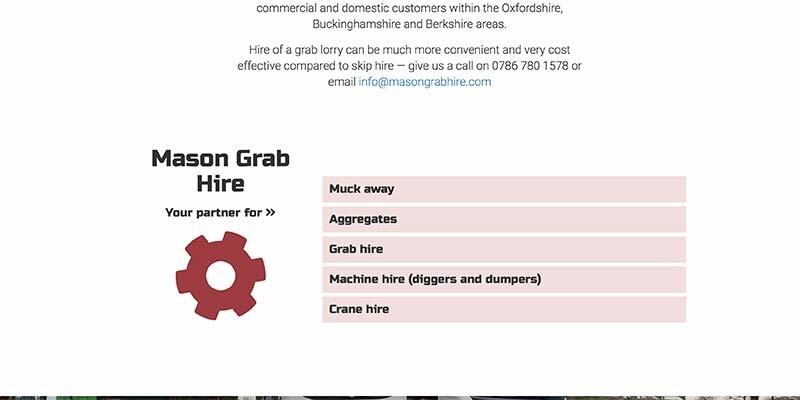 Mason Grab Hire provides truck-hire services around the Aylesbury area for grab-trucks, crane-lorries and other wheeled-mechanicals. 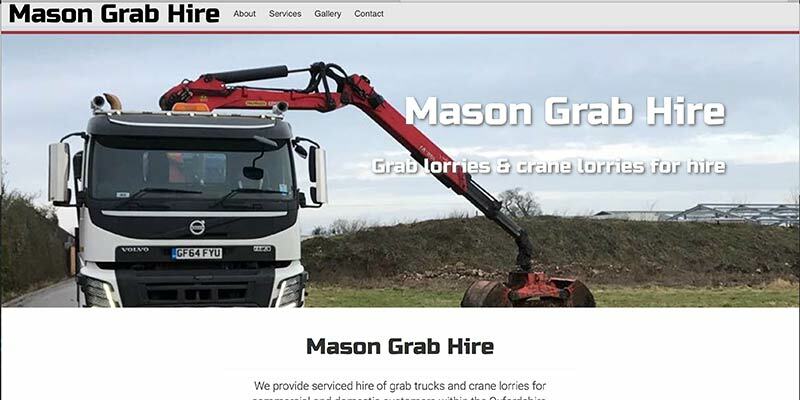 As there was just a limited amount of content for this company, we produced a single-page website with navigation that scrolls down the page (and a scrollspy feature to highlight the menu button on manual scrolling). To make the website dynamic, we added parallax-effect photos (that still work on iPads!) as well as highlighting important text as the page is scrolled. We had a very limited brief, so we proposed, designed, researched and compiled all the content for the client. As we also registered the domain name and arranged website hosting, the client was able to hand over the whole project to us and concentrate on their own business. 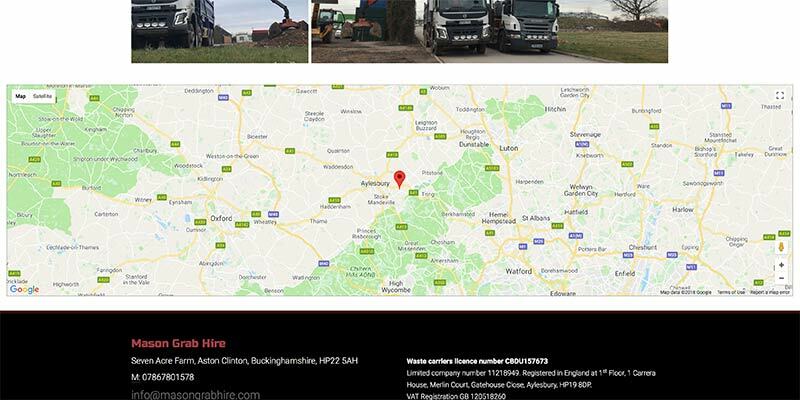 Even on a small one-page website, it's economical to own a bespoke website complete with a built-in content management system to let you amend text and photos.